Satisfying customers for over 38 years. Clutches, differentials, engines and electrical systems for all vehicles of all years, makes and models. What you drive is your business….how to repair it is ours. At Trans Tech Auto, we fix your vehicle right the first time! 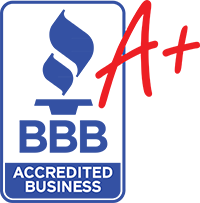 Comprised of expert technicians who are skilled in their field, we only offer the highest caliber service within the automotive repair industry. In addition, we are proudly affiliated with the non-profit organization, Automatic Transmission Re-builder Association (ATRA). As a member of ATRA, we uphold the highest standards and adhere to the code of ethics outlined within the organization’s guidelines. Under the code of ethics, Trans Tech Auto and Truck pledges to diagnose transmission problems for all of our local Colorado Springs customers in an honest and expert manner. In addition, we will never remove transmissions during repair unless absolutely necessary. Trans Tech Auto is the premier auto repair service provider throughout Colorado Springs and the surrounding areas. We offer auto repair service and transmission repair around the clock 24 hours a day, seven days a week. Call today for your free, no obligation quote for superior service for your car or truck (719) 630-7476. Schedule an appointment any time with our easy 24/7 online scheduling! Just complete and submit our appointment form and we will contact you as soon as possible. Check engine light problem? 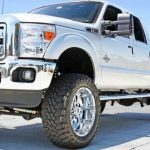 Bring your vehicle to Trans Tech Auto & Truck shop in Colorado Springs and let an ASE-Certified automotive repair specialists perform a comprehensive computerized diagnostic scan to get you safely back on the roads of Colorado Springs. We understand that problems with a vehicle are often unexpected. So we offer 6 month same as cash financing when qualifying for the Synchrony Financial program. "Super confident in this place. Highly recommend. Straight shooters who know what they are doing." "Very helpful, did a quick, affordable and great job replacing the transmission and wheel bearings on my Chevy s10. " " I can tell you that the high reviews for this shop are accurate. The price of work was exactly what Jim claimed it would be and the truck runs excellent." "Found this repair shop back in 2001 and have been taking my vehicles there for repairs since. Jim is very honest to me." Need a Transmission Rebuild? Let us diagnose your transmission concerns to know if you have a major or minor problem. Transmission problems? Is your vehicle exhibiting any of the following symptoms? * Transmission Slip (car feels like it slips when changing gear) * Transmission Jerking (car feels like it jerks at any time) * Transmission Shifts Erratically (car doesn’t shift regular as it should) * Your Auto Feels Sluggish * Your Vehicle is Losing Power * Service Engine Light on or Flashing * Check Engine Light on * Overdrive Light on or Flashing * Transmission Leaks or Other Car Fluid Leak. Call us today for a diagnosis. If your vehicle needs a rebuilt transmission, bring this coupon to our Colorado Springs transmission repair shop for savings. ** REBUILD MUST INCLUDE REMOVAL AND INSTALLATION BY OUR SHOP TO QUALIFY FOR SAVINGS Cannot be combined with any other offer(s). Save 25$ on Colorado Springs Transmission Repair or Rebuild Services. Service may be with synthetic or non-synthetic transmission fluids. Prevent transmission problems: regular scheduled transmission service is vital to the life of your transmission, and is an economical, easy and very practical way to avoid costly transmission repairs in the future. The internal parts of a transmission heat up to about 175 degrees during normal use. Under heavier loads, such as repeated shifting, hauling a load or climbing hills the temperature can go to 225 or 250 degrees very quickly. At these higher temperatures the fluid will break down rapidly and the transmission will develop internal slippage. Transmission internal parts wear. The worn off material becomes suspended in hot fluid and is carried throughout the transmission before becoming trapped in the filter. The hot transmission fluid coats the internal parts of the transmission, and when it cools will leave a varnish like coating on surfaces. 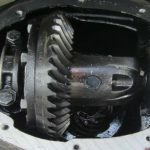 The combination of accumulate dirt and varnish increases the wear on the moving parts inside the transmission and restricts the fluids ability to flow and pressurize the gear packs as needed. We recommend routine transmission service every 15,000 – 20,000 miles. Cannot be combined with any other offer(s). **Up to $25.00. Discount applies to labor portion of invoice only. Cannot be combined with any other offer(s). Got transmission problems? Does your vehicle have any of the following transmission symptoms? * transmission grind (feels like there is a grinding in my vehicle) * transmission whine * check engine light on * overdrive light on * service engine light on * transmission slip (feels like my vehicle “slips” at times) * transmission sound (any unusual transmission sounds?) * transmission shifting hard (transmission won’t shift smooth) * transmission jerking * vehicle sluggish * vehicle losing power * transmission leaks * shifting erratically (feels like my vehicle has inconsistent shifting) If any of the above symptoms fit your vehicle, you may be having transmission trouble. Call us today. Our ASE certified and ATRA certified technicians will help you understand your vehicle’s symptoms. Let our experts diagnose your clutch concerns. Got clutch problems? 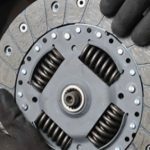 Think your vehicle has: * clutch slip * clutch chatter * clutch gear trouble (it’s hard to get into gear or change gears) * clutch shift irregularities * clutch noise * clutch release trouble * clutch grind * clutch leak If you think your vehicle might have any of these clutch symptoms, call us right away. We’ll help you understand your clutch symptoms with an accurate diagnosis. Cannot be combined with any other offer(s). **Up to $75.00. Discount applies to labor portion of invoice only. Cannot be combined with any other offer(s). Prevent differential problems… Did you know that your vehicle differential requires service? The differential is the component of your vehicle that delivers the power from the transmission to the wheels. Differential service is one of the most overlooked routine maintenance needs of most vehicles. The differential does not have a filtration system to remove harmful particles from the lubricating fluid. This means that the debris in the fluid continues to contaminate all of the parts in the system. Regular differential service removes these harmful particles, and replaces the contaminated fluid with new. We proudly service with AMSOIL synthetic lubes, or traditional petroleum products. Whatever your vehicle requires, please check the owners manual or ask one of our ASE Certified technicians. Avoid differential repair or differential rebuild with preventive maintenance. This is a limited time offer for our Colorado Springs differential repair services. Cannot be combined with any other offer(s). 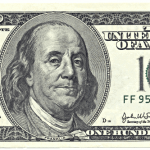 **Up to $20.00. Discount applies to labor portion of invoice only. Cannot be combined with any other offer(s). Do not get stranded off-road this season. Let us prepare your 4X4 vehicle before you go. 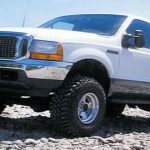 If you own a four wheel drive vehicle and it is showing any of the following symptoms, bring it to our Colorado Springs 4WD transmission repair shop for an accurate diagnosis and a free estimate: * 4WD axle noise * 4WD slipping * 4WD jerking * 4WD noise * 4WD leak * 4WD vibration * 4WD hard shift * 4WD transfer case problem * 4WD transmission shift problems. This offer applies to import and foreign four wheel drive and domestic four wheel drive. **$25.00. Discount applies to labor portion of invoice only. Cannot be combined with any other offer(s). Do not pay too little for a brake job. It is a SAFETY issue. 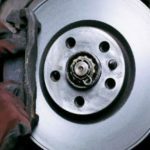 If your vehicle needs brake work, shoes, or pads, let our ASE certified technicians diagnose and repair your brake problems. We service and repair brakes for all vehicle makes and models. Call us today. Beat the cold this winter. Get your Heater Core serviced by our trained experts. Have our trained Heating experts get you cooled down this season. Get $25.00 Off labor on any Heater Core repairs or service. **Up to $25.00. Discount applies to labor portion of invoice only. Can not be combined with any other offer(s). Get your RV ready for this season. Do not get stranded on the road. 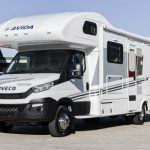 Is your RV motorhome ready for summer? Are you having RV transmission problems OR motorhome transmission problems? Let our ASE certified and ATRA certified techs assist you with any RV problems or motorhome problems you might have or RV maintenance you might need. * RV / Motorhome transmission service (remember to service your RV regularly for smooth travels!) * RV transmission repair (transmission rebuild and repair) * Airstream * Bigfoot * Coachmen * Fleetwood * Forest River * Four Winds * Glendale * Gulfstream * Jayco * Monaco * Triple E * Vanguard * Winnebago * We service many more RV brands. 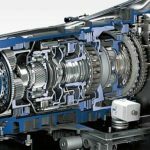 Learn How your Transmission Works! 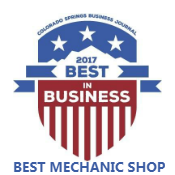 Trans Tech Auto & Truck is a certified ATRA automatic transmission repair shop – proudly serving the greater Colorado Springs area. We stand behind the quality of our automatic transmission work that our professionally trained staff offers to each and every one of our customers. As an ATRA transmission shop serving the greater Colorado Springs area, Trans Tech Auto & Truck is able to offer the ATRA Golden Rule Warranty! The Golden Rule Warranty is a nationwide warranty protection plan issued and serviced only by authorized ATRA members in good standing with ATRA – transmission repair shops like Trans Tech Auto & Truck! ATRA is the largest network of automatic transmission repair shops in the world, making the Golden Rule warranty the most widely accepted transmission warranty!